Ahead of their ODI series, we look back at some of the most memorable clashes between Pakistan and New Zealand at the ICC Men’s Cricket World Cup. The sides have met on eight occasions at the tournament, with Pakistan getting the better of the Black Caps six times, including in two semi-finals. With their ODI series starting tomorrow, we cast our minds back to some of the most notable moments from the sides’ World Cup clashes. With a first World Cup final appearance at stake for both sides, Pakistan and New Zealand clashed at the semi-final stage of the 1992 Cricket World Cup. New Zealand, with home advantage, won the toss and elected to bat first. Captain Martin Crowe, who had enjoyed a superb tournament, led the way with 91 off 83 balls, supported by Ken Rutherford (50) as the Black Caps finished on 262/7. In reply, Ramiz Raja and captain Imran Khan both struck 44, but needing 123 from the final 15 overs, it looked like a debut final appearance was out of reach for Pakistan. 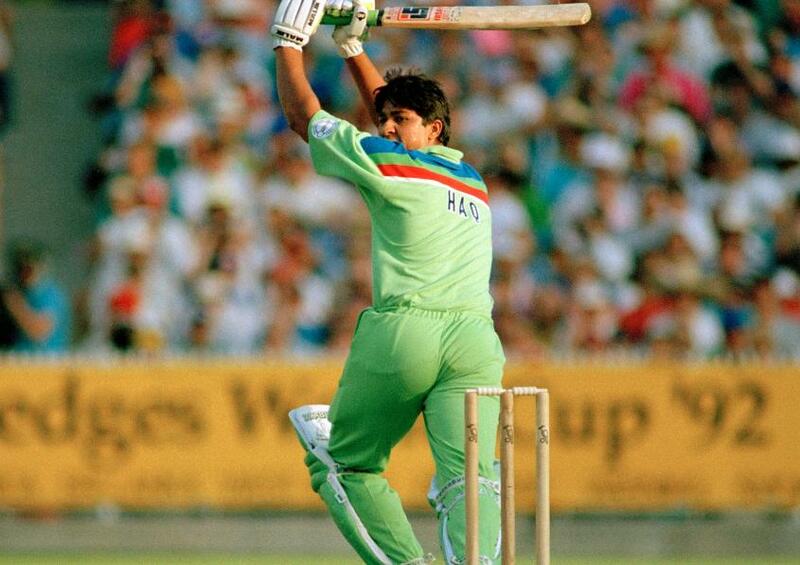 Step forward a 22-year-old Inzamam-ul-Haq, who blew New Zealand away with a blistering 60 off just 37 balls. While he was run out 36 runs short of the target, Javed Miandad (57*) and Moin Khan (20*) helped Pakistan to victory with an over remaining. Another semi-final meeting between Pakistan and New Zealand, another victory for the men in green. This time, they had Shoaib Akhtar and Saeed Anwar to thank, with the duo helping Pakistan reach their second World Cup final. Shoaib, at his electrifying best, regularly exceeded 90mph on the speed gun and claimed three key New Zealand wickets to help restrict the Black Caps to 241/7. It seemed like a reasonable total, but Pakistan made light work of it, thanks mainly to an almost faultless 113* from Saeed Anwar. His opening partner - Wajahatullah Wasti – also found himself in the runs, scoring 84 as Pakistan knocked off the target with nine wickets to spare. New Zealand batsman Ross Taylor smashed eight fours and seven sixes on his way to an extraordinary 131 not out when the sides met at the 2011 World Cup. Taylor’s innings started relatively slow, finding himself on 76 from 111 balls before the blitz happened. 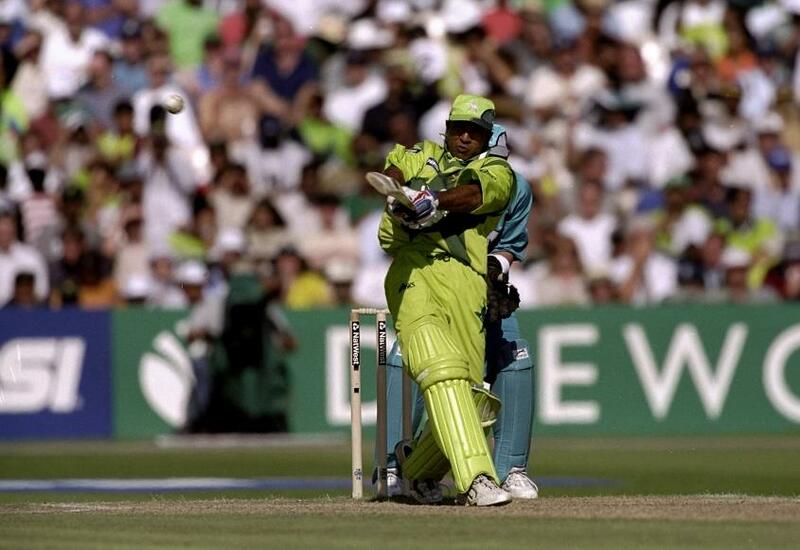 He took 28 off one Shoaib Akhtar over, before bettering the feat by hitting a tournament record 30 off Abdul Razzaq. Come the end of the innings, Taylor finished on 131 not out from 124 balls, scoring an astonishing 55 from his final 13 balls.